It’s a fact of life that we age. As we age, the more we wish we didn’t. What if I told you that it is indeed possible to stay the same age forever? And because I’m such a nice guy, instead of charging you $19.99, I’m going to tell you for free. So what’s the catch? Well it takes a bit of physics and mathematics, but don’t fret as those wrinkles on your furrowed brow will disappear once you’re back to 29. Let’s begin with some physics. Back in the early 20th century, Einsten made waves with his discoveries regarding light. You may recall that the only thing constant in the universe is the speed of light. This discovery was rather profound when thinking about the theory of special relativity that he put forth. A non-technical description is that given two people moving at different speeds, the speed of light remains constant for each person. The consequence is that the rate at which time changes is instead variable. This is known as time dilation and is the key to staying 29 forever. Now many people have thought about this and have made the observation that if you travel at the speed of light, then time stands still and therefore you won’t age. This is true, but the problem is that you can’t really go about your life when traveling at the speed of light. With my method, you can carry on without any significant changes. So how does this work? Well, now we need some mathematical insights to carry us through this story. You may recall that our number system is known as base 10. This is because we have 10 digits in the system, which then gets reused using a positional notation. The beauty is that with this notation we can represent any number with only 10 symbols. 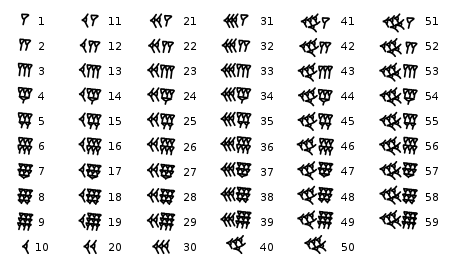 As natural as base 10 is, it isn’t the only number system in use. In computing base 2, aka binary, and base 16 (hexadecimal) are common. We also use base 60 for time (although we represent the numbers in base 10). For our purpose what’s interesting are number systems with a base greater than 10. These bases have the effect of shrinking numbers in base 10, thematically similar to dilation. For example, in hexadecimal 10 is equal to 16 in decimal, 11 is 17, and so on. We can convert any number from one base to another and work within that system. The secret then is that we can emulate time dilation by holding our age constant and instead changing the base of our age! Let’s see how this works. When you are 31 in base 10, you are 29 in base 11. Verify this by converting back from base 11 to base 10: . In fact, this process works for any base, so that when you’re 33 in base 10, you’re 29 again in base 12. So for each 2 years in age increase, simply add one to the base to get back to 29. This is great, but did you notice I avoided even numbers? This is where it gets a bit weird, and you may need to furrow your brow a bit more. In this case we need to look at yet another number system. So far we have only looked at integer bases. However, there’s no reason that you can’t have fractional bases, and this is precisely what we need to be 29 when we’re 30. To achieve this, we need to count in base 10.5! Let’s verify: . Remarkably, this works for each even base, meaning that you simply add .5 to your base and keep your age the same. Here is a table that summarizes a few of the transformations. I hope you feel younger already. I know I do!